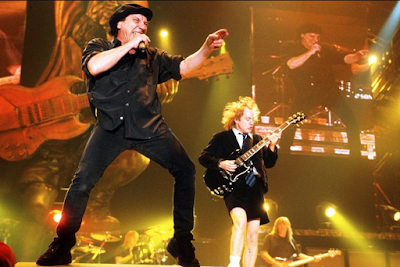 AC/DC have been forced to reschedule 10 upcoming dates on the U.S. leg of their “Rock Or Bust” world tour following news that lead singer Brian Johnson has been advised by doctors to stop touring immediately or risk total hearing loss. The affected shows run from a March 8 stop at the Philips Arena in Atlanta, GA to an April 4 gig at Madison Square Garden in New York, NY. The band released a statement saying the shows will be made up later in the year, likely with a guest vocalist. More information regarding these rescheduled shows to come. Current ticket holders can hold on to their tickets for the rescheduled dates or receive a refund at point of purchase. Johnson joined AC/DC in 1980 following the death of longtime singer Bon Scott.